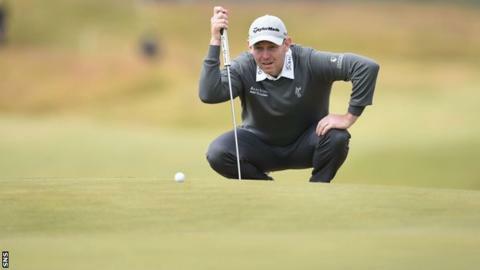 Scottish golfer Stephen Gallacher admits he will use this week's Welsh Open to hone his game ahead of the Ryder Cup. And he intends to make full use of the opportunity to prepare for the showdown with America at Gleneagles. The 39-year-old returns to action for the first time since earning a wildcard for the European team. "I want to get all the rust out, get the game in shape for next week," said Gallacher. I want to take it in as much as I can and get some tips off these guys how to do that. The Scot is one of four players in the European team who will play at Celtic Manor, along with Lee Westwood, Jamie Donaldson and Thomas Bjorn. A number of other former Ryder Cup stars including Paul Lawrie and the Molinari brothers are also competing over the course that hosted the 2010 biennial match, and Gallacher is out to learn as much as possible. "I want to enjoy the week as much I can, especially it being in Scotland at Gleneagles, the course I love," he added. "I want to take it in as much as I can and get some tips off these guys on how to do that. "We're going for dinner tonight with Paul and with the guys that are playing this week in the team. I'm sure there will be questions asked or he'll be telling us stuff as well and having a good chat. "You just see some of the pictures around here. Graeme McDowell holing the winning putt. I remember watching it vividly. You can't replicate the pressure you're going to be under so it's just a case of being ready for it when it happens."